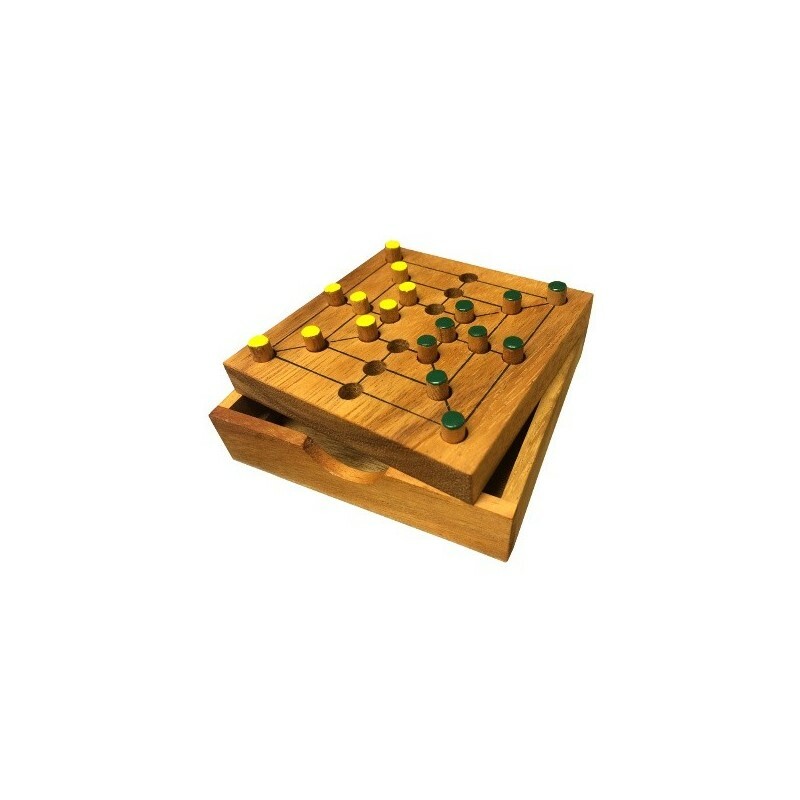 This 2-player game of strategy is handmade from eco-friendly hardwood. A great thinking game to take travelling. Choosing a quality product that will last a lifetime saves precious resources and waste. Planet Finska games encourage children to unplug and enjoy battery-free fun whilst learning valuable skills. Where timber is involved Planet Finska only use environmentally sustainable hardwood. They do not use mdf, chipboard or softwoods such as pine that are less attractive, chip easily and less likely to last. An ancient strategy game believed to have emerged during the Roman Empire. 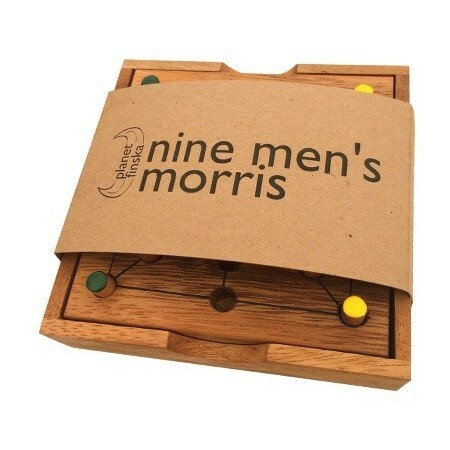 The aim of the game is to force your opponent out of the game by forming 'mills' or runs of three pegs. 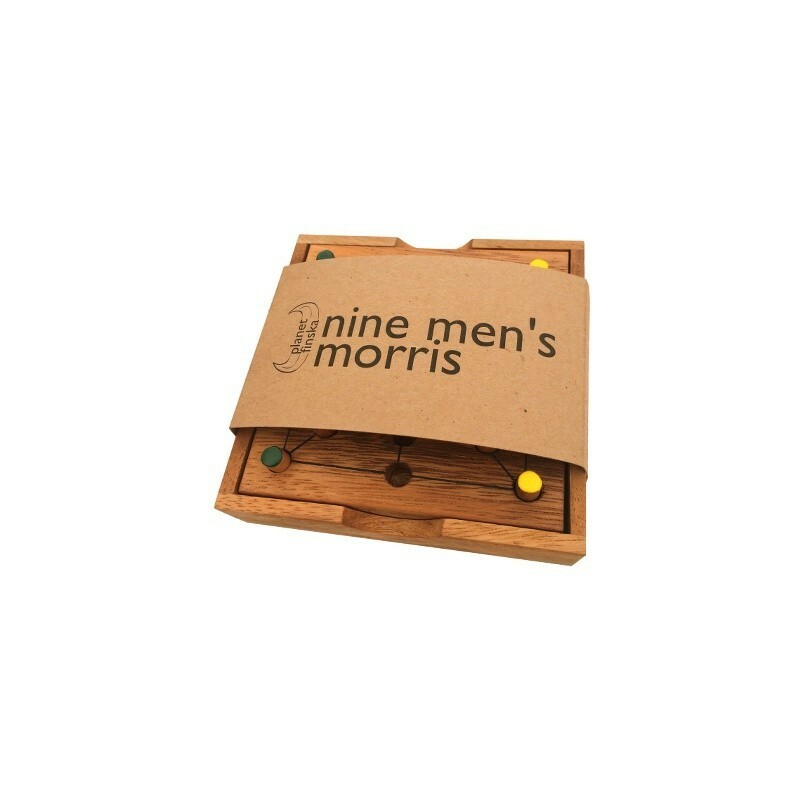 Includes a compact hardwood game board and both green and yellow pegs.